We all have people who “get us”, they got our back, they totally understand. I got a husband who gets me. Who understands me, knows my character. I get him too. A lot of times. – We try. While, yes, they do understand, to some degree, they don’t. It’s not a bad thing though. Not to understand someone in totality; it’s not a bad thing. Not getting everything gives one some space to grow and work hard towards getting to understand their needs if not everything. But there’s one man who gets us. One who understands our weaknesses and pain. God understands you better than yourself, better than your spouse, better than your momma or papa, Jesus Christ gets you better than anyone else. Not getting everything gives one some space to grow and work hard towards getting to understand their needs if not everything. The Word became flesh (John 1:14) and dwelt among us as Jesus Christ. Not only was he conceived of the Holy spirit, He was born of a virgin. It’s was unheard, it never will. So all who received the news were filled with awe, reverence and respect. No human being could do that. That story right there makes you fall on your knees to worship. He is God and you wouldn’t joke around with the Holy Deity. Then a twist happens. He is born to a family of natural parents. Joseph and Mary. He grew up with a family. He ate, he drank. He even helped his father Joseph in carpentry. He was human! That makes you unafraid of reaching out to Him. After all he understands the pain of being hit by a hammer as he dove tailed the joints! Of course this is just but a conjecture, but the Bible says He was born of flesh and blood! He was God and lived as man! The Holy one, living as a human being! Because He was born as man, we are drawn to him as a friend, and because He is God, we draw near in reverence and adoration! Because He was born as man, he wept at the death of His friend Lazarus, and because He is God, He resurrected him. Because He was born as man, he ate with the masses, and because He is God, He multiplied the 2 fish and 5 loaves of bread. Because He was born as man, he spoke as a man, and because He is God, he spoke with power and authority, that demons could not stand His presence. Because He was born as man, his entreaty inspired, and because He is God, thousands years later, His Word still inspires and changes. He understands our frailties because He was human too! Though he sinned not, he saw and felt every excruciating weight of sin. He, at the cross, took the sins of the world. He became sin – that you and I would be free from the condemnation that sin keeps presenting. The world temporarily became dark, hanging down its ankles, because the Son of God, the Holy one became sin! Yet, He still sustained it, broke the chains of death and declared “Its finished”. Jesus cried out of the pain of being forsaken by the Father. He understands betrayal from friends and close friends. He understands the pain of being whipped. He understands mistrust and doubt. 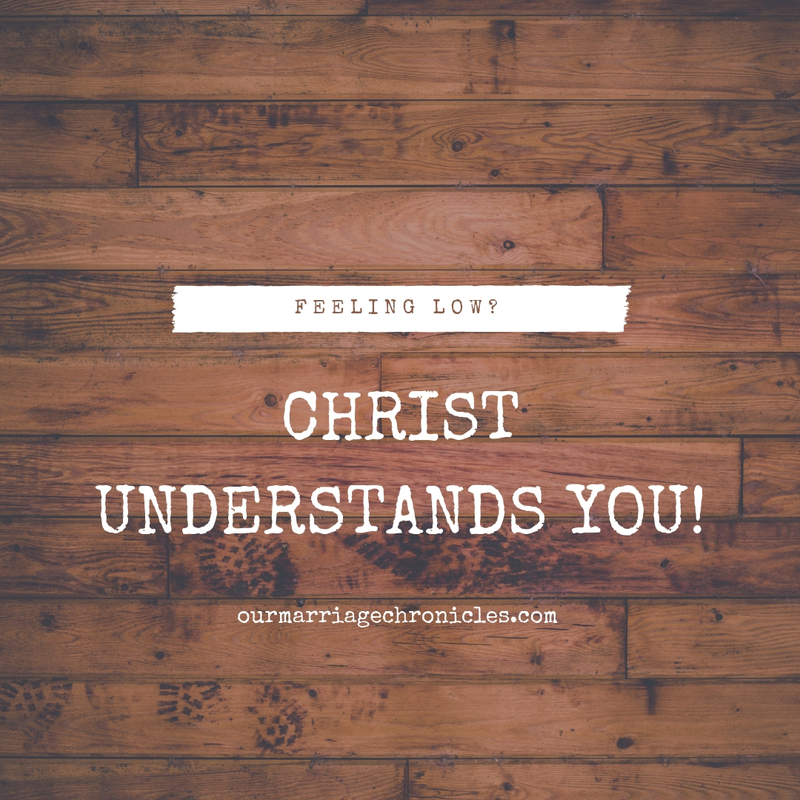 So you think that there is no one who understands, Christ does! He is God but sympathizes with our weaknesses and can safely take us through. Previous PostA NOTE ON HUMILITY IN MARRIAGE. Next PostHUSBANDS, LIVE IN UNDERSTANDING WITH YOUR WIVES.